Get acquainted with the cultural delights of Poland’s beguiling capital on a full-day walking tour of Krakow from Wroclaw. 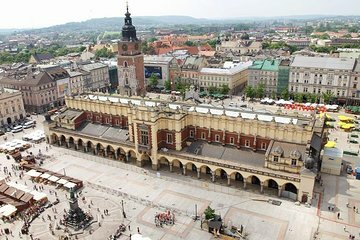 Travel by luxury coach through the picturesque Polish countryside while receiving an interesting introduction to Krakow’s history and culture from your expert guide. Begin your walking tour in the city’s charming former Jewish district and marvel at ancient landmarks like Wawel Castle and the Royal Cathedral. Absorb the vibrant ambience of Old Market Square, Europe’s largest medieval square and navigate the ambient tangle of the UNESCO-listed Old Town before returning to Wroclaw by comfortable coach.